CAMBRIDGE, UK. 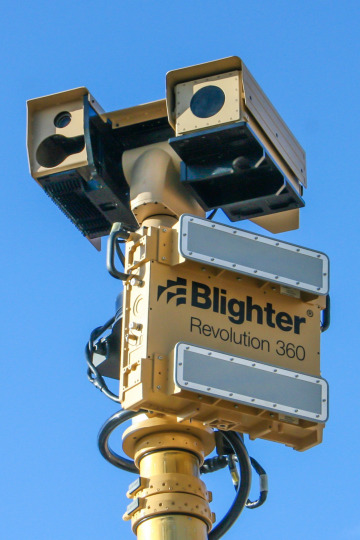 Blighter Surveillance Systems has announced its Blighter Revolution 360, a lightweight, low-cost e-scan vehicle-mobile radar. The radar is capable of detecting small and slow-moving targets, even in cluttered environments, with its Frequency Modulated Continuous Wave (FMCW) Doppler fast-scan processing. The Blighter Revolution 360 consumes less than 100 W of power and incorporates a 38 kg mast payload. It is capable of detecting a moving person 4.6 miles away, and a large vehicle 13.7 miles away. The radar is deployable on vehicle or trailer masts and provides 360-degree surveillance with its specially-designed, maintenance-free cable drive azimuth positioner. At its most optimum, the radar can achieve full 360-degree scan surveillance in 12.5 seconds. 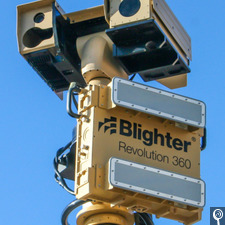 For more information about the Blighter Revolution 360 radar, please visit www.blighter.com.